This entry was posted in art, Creativity and tagged art, Creativity, katy gilmore by Katy Gilmore. Bookmark the permalink. I, too, prefer the word draw. Sketch sounds too tentative for the determination of a line. Lovely nest drawing. And I enjoyed the view of you working at your desk. Your lines show your own feeling of determination to get the work done. 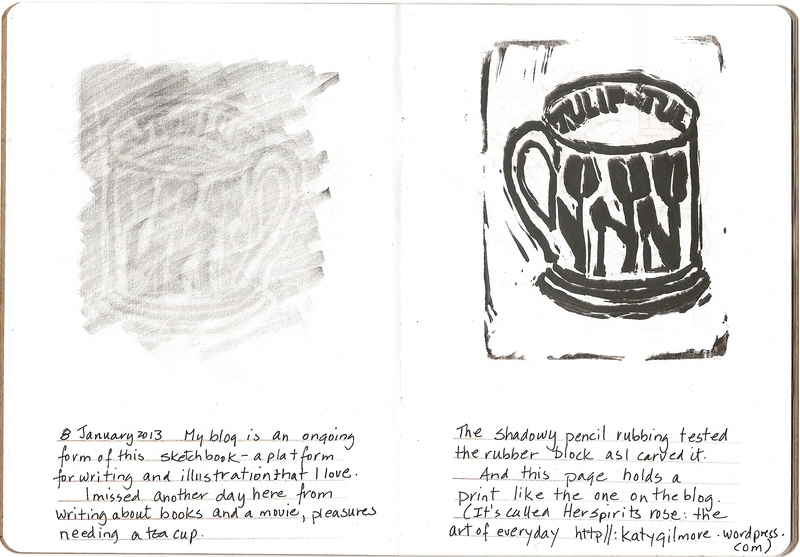 Ah, Katy, you are giving me impetus to start writing and painting -you are so correct -draw until your hand huts!! Thank you! I love the mug prints and the lovely little bird’s nest! How will you ever part with this little journal?